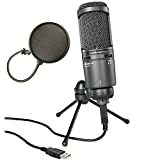 What a great time to be shopping for a microphone! Amazon is going CRAZY this year! 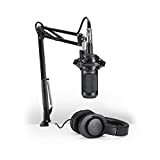 Here’s a link to the Best Microphone Deals for the holidays. Guitar Center is having some sales on USB microphones, but be warned that you may find yourself with no store to return to. 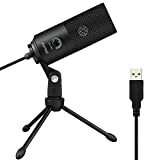 So far we haven’t seen any specific microphones listed at huge discounts from Musician’s Friend, but they are worth checking out if you’re keen. Thus far, we haven’t seen many microphones marked down from Sweetwater. You can see their stock of microphones here, and maybe soon we’ll see some major deals coming through.